These Dark Chocolate Hazelnut Brownies are delicious any day of the year not just St. Patrick’s Day. They feature a secret ingredient – Guinness beer! 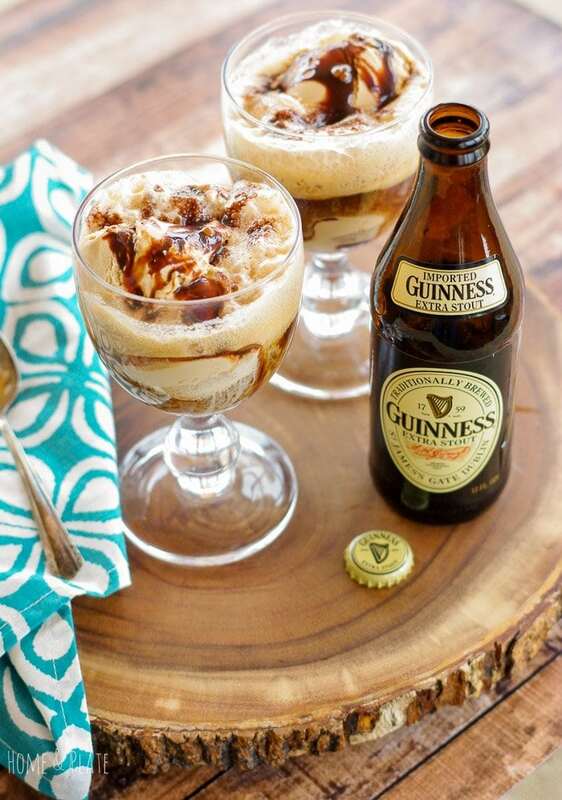 25 Recipes that Feature Guinness – Eat your Beer! Guinness is not just for St. Patrick’s Day. Don’t just drink it – use it in your stews, Shepherd’s pies, brownies, breads and cakes. Use it as a reduction or a mixer for your favorite cocktail. 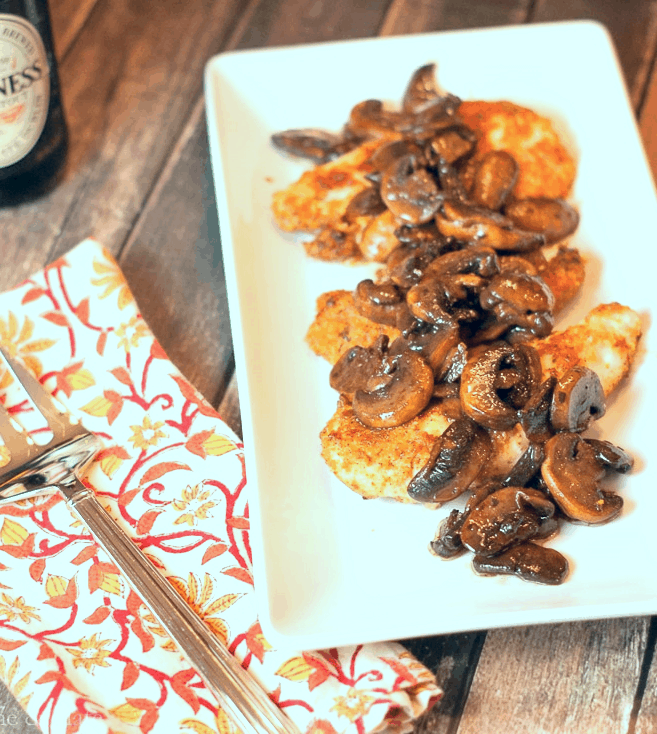 These sautéed mushrooms are an easy side dish for any barbecue, holiday party or everyday dinner. Imagine this: Gourmet coffee ice cream, a drizzle of chocolate syrup and bubbly stout beer that is dark and creamy. Can you just taste it? The beer soaked button mushrooms impart the subtle flavor of the stout.